This is our first year and we loved it. What an awesome program and Kay McDaniel is just great! Thank you! My son loved the camp! This is the only camp he really cares about coming to in the summer. Keep up the good work! Here is how to get to the Clinics. Coming from the Chattanooga area. Take I-75 N to exit 25. Turn LEFT on to 25th Street. 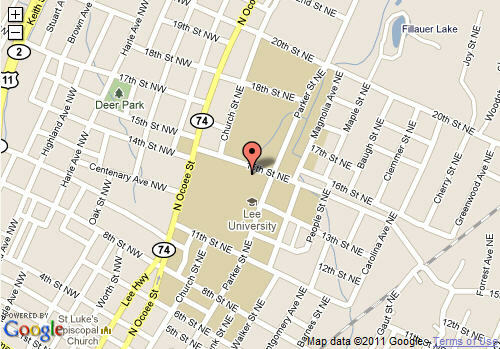 Go 3 miles to Ocoee Street and turn right. Turn left at 15th St NE. Tennis courts are on your right. Coming from the Knoxville area. Take I-75 S to exit 25. Turn RIGHT on to 25th Street.